LATISSE® is a revolutionary FDA-approved treatment designed to help you grow thicker, longer, and darker eyelashes. The non-invasive topical solution works for a broad range of individuals who have inadequate or not enough lashes, a condition medically referred to as hypotrichosis. Additionally, if you have experienced the loss of eyelashes due to chemotherapy treatment, or if you would simply like to reduce your dependence on mascara and eyelash curlers, LATISSE® can work wonders in growing and enhancing your eyelashes. Our board-certified facial plastic surgeon, Dr. Ali Sepehr, is offering LATISSE® at our state-of-the-art practice. Please contact us at OC Facial Plastic Surgery today for more information or to schedule a consultation..
LATISSE® is the first eyelash growth solution to be approved by the FDA for the treatment of hypotrichosis. This innovative at-home treatment is designed to help you grow more eyelashes, as well as enhance their length, thickness, and depth of pigment. LATISSE® is applied to the upper eyelid at the lash line once daily for approximately 4 to 16 weeks. Once you’ve reached your desired outcome, you can use LATISSE® less frequently. Initial effects can be seen as early as four weeks, and optimal results often will be visible after about 16 weeks. LATISSE® is designed to have a progressive effect, so you may continue using the product until your eyelashes are as desired. Once you stop treatment, your eyelashes will begin to return to their original state. When using LATISSE®, some individuals may experience some mild irritation, redness, itching, and darkening of the skin in the treatment area. Furthermore, some patients may develop darkening brown pigment in the colored part of the eye. If you are allergic to any of the ingredients in LATISSE®, or if you have certain medical conditions, LATISSE® may not be right for you. 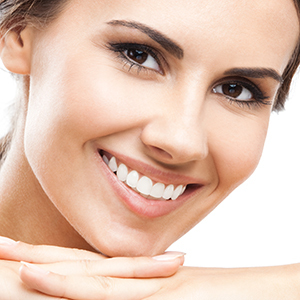 During your initial consultation, Dr. Sepehr will determine if you make an ideal candidate for this treatment. LATISSE® is clinically proven to re-grow your eyelashes, which can bring out your eyes with beautiful results. For more information about LATISSE®, or to schedule a consultation, please contact us today. Patients using LATISSE® have seen noticeable results as early as four weeks into treatment. How long do the results from LATISSE® last? LATISSE® is designed to provide thicker and more noticeable lashes as long as you maintain regular application. Thus, the effects of treatment can be long-lasting provided that you keep up with consistent usage. Once you stop using LATISSE®, your eyelashes will return to their original state. Do you need a prescription to use LATISSE®? Yes, patients interested in LATISSE® generally need a prescription from a physician in order to receive treatment. This eyelash enhancer has been known to lower intraocular pressure; therefore, individuals with certain eye conditions, including glaucoma or macular edema, may not be ideal candidates for treatment. Dr. Sepehr can examine your medical history and assess your candidacy during a consultation. If you are taking certain medications for eye pressure problems, you may need to use LATISSE® under a doctor’s care. What is hypotrichosis and how does LATISSE® treat the condition? Hypotrichosis is a condition characterized by abnormal hair growth or irregular hair growth patterns. When affecting the eyelashes, the cosmetic result is usually sparse or minimal lash production. LATISSE® can treat hypotrichosis or generally improve hair growth with its main active ingredient, bimatoprost. It is believed that bimatoprost either increases the amount of hairs in the eyelash growth phase, or prolongs the growth phase to achieve thicker, fuller lashes. Can you use LATISSE® in other areas? LATISSE® is only FDA-approved for use in the upper eyelashes and is not recommended for application in the lower lashes, eyebrows, scalp, or any other body region. What if I forget to put LATISSE® on for a few nights? The treatment should continue working, even if you do not maintain daily application or lower the frequency with which you use LATISSE®. In fact, it is normal for patients to apply less often once they achieve their desired cosmetic result. As long as the solution is applied consistently, your lashes will typically continue to appear longer, thicker, and darker than they would have without treatment. It is not recommended to double your usual regimen to “catch up,” should you miss a day of treatment.